New prints are available in the LaniLetter shop! Word? Say word. Word is Bon Jovi. So I had no idea that today was "Administrative Professionals' Day" (let alone the fact that a day as such even existed) until about 2 days ago - when my sister asked me to hand draw a few encouraging quotes as gifts for her employees. 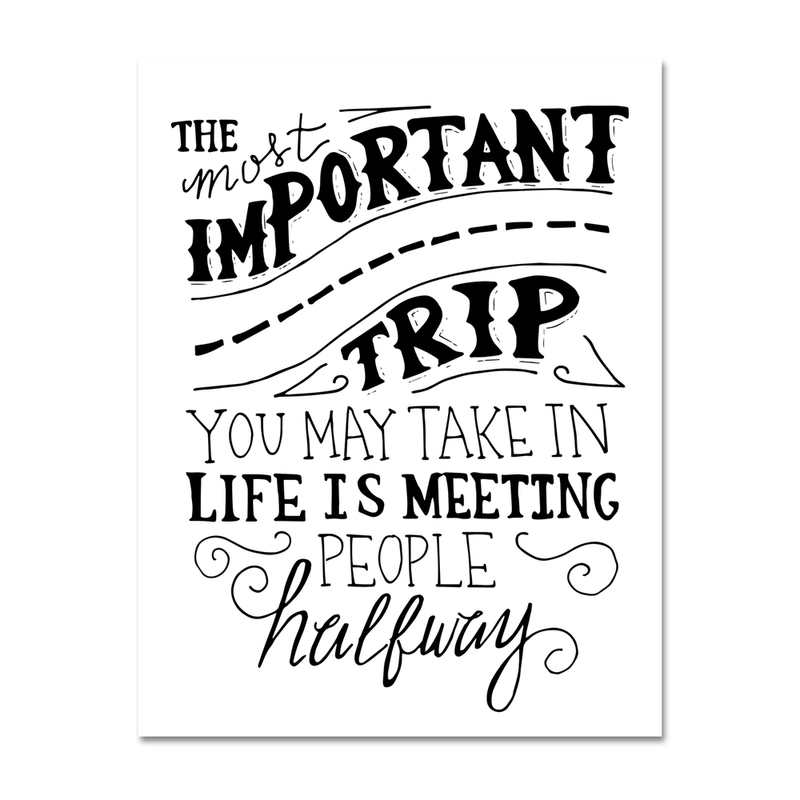 I worked on them all last night and the one quote that stuck out to me the most was one by an unknown author that states "The most important trip you may take in life is meeting people halfway". Although this hand drawn quote was meant to inspire others - it surfaced emotions of resentment towards those who don't meet me halfway. I tend to over extend my generosity at times, without any expectations. And this quote reminded me of the importance of compromise, without being compromising. LaniLetter is now open for business! 3 LaniLetter Prints are now available for purchase in 2 different sizes (5"x7" & 8"x10") on 2 different types of paper (card stock & kraft paper). Sign up for my newsletter and receive discounts on your first order! Holler back youngin', woot-woot! Sign up to receive news, updates, and discounts. LaniLetter Paper Co. respects your privacy.